HPS Intake - Cold Air - Pann Auto Performance - San Diego largest aftermarket automotive performance parts - What do you drive? Built for performance and show, the HPS Cold Air Intake Kit relocates the world’s best K&N air filter outside of the engine compartment to deliver the coolest air inlet temperatures. HPS Long Ram Cold Air Intake has been tested on a dynamometer and shown increase in horsepower and torque. Compare to the shortram air intake, HPS Cold Air Intake delivers cooler air with more oxygen, which translates into a more intense explosion in the vehicle combustion chamber to create more horsepower and torque in the low and mid range rpm. 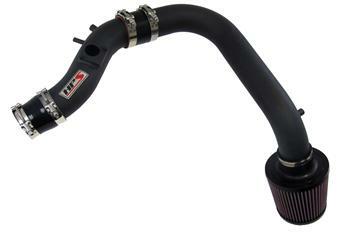 Constructed of light weight mandrel-bent aluminum alloy piping, HPS Cold Air Intake Kit has long lasting durability. HPS Cold Air Intake Systems come with the HPS signature reinforced silicone hoses, which ensure the durability and reliability during the extreme driving condition.